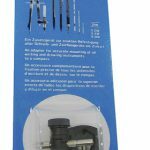 Uni-Adapter – an adapter for accurate mounting of all writing and drawing instruments to a compass. Please note this can only be used on a compass with a removable hinged leg such as the Staedtler 551 WP01 Masterbow. 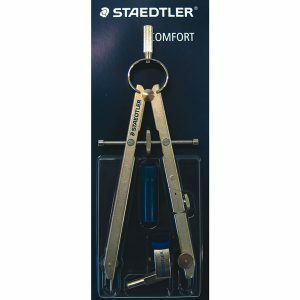 Staedtler Masterbow 551 WP 01- Full metal compass- Centre wheel, spring bow head, one hinged leg joint, universal adaptor & parts box includes two pieces of lead and one needle joint. 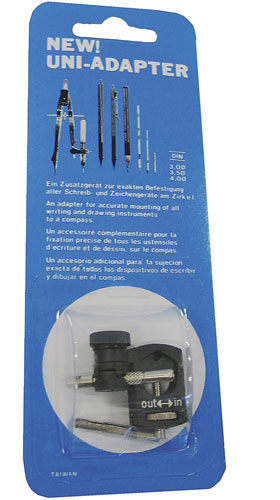 Maximum circle drawn: 265mm. 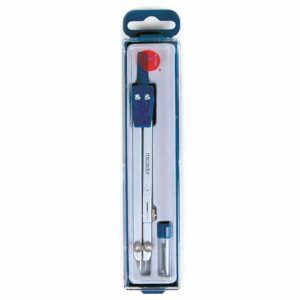 Overall compass length:155mm. 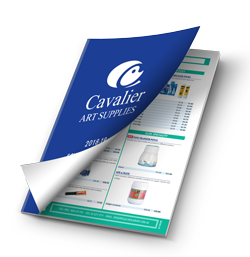 Comes in plastic wallet. 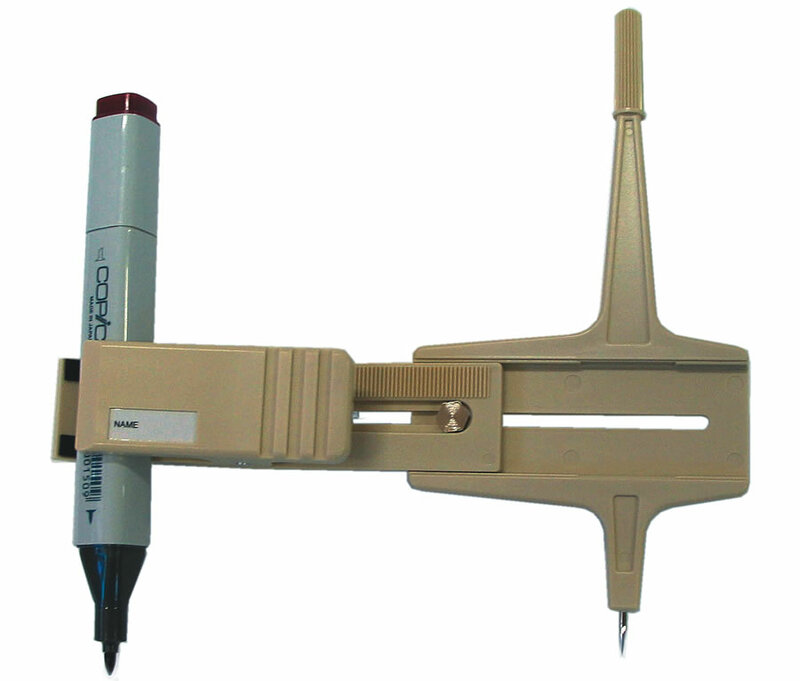 The compass has a removable hinged leg to fit an extension arm or ruling pen. Sturdy student compass with central winder, adjustable point, spare leads in a handy plastic case. 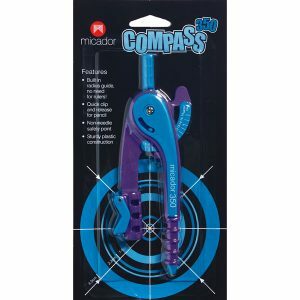 The Micador #325 Plastic Compass has a new non-needle safety point making it safer for children to use. . Self-centering with easy to use grip on top of compass. . Large pencil hole to accomodate a wide range of media. . Made from high impact, durable plastic. . A teacher's choice product. 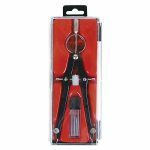 The Clip Compass' strong holding clamp grips pencils, markers and knives. Draws or cuts circles up to 24 cm diameter. Extension bars of 23.5 cm each are available. . 1 extension bar draws or cuts circles to 60cm diameter . 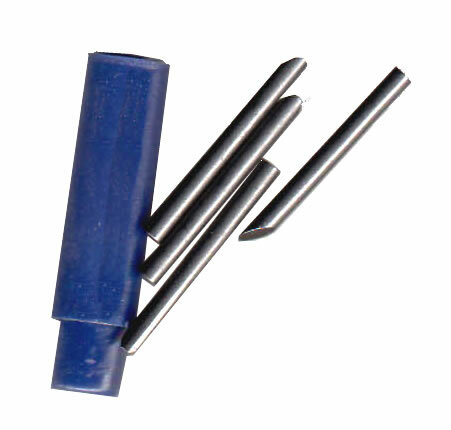 2 extension bars draws or cuts circles up to 100cm diameter. 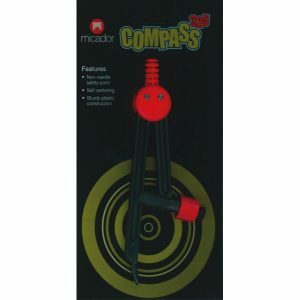 Modern, steel compass with spare leads and adjustable point. The Micador #325 Plastic Compass has a new non-needle safety point. . 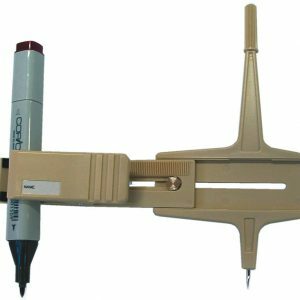 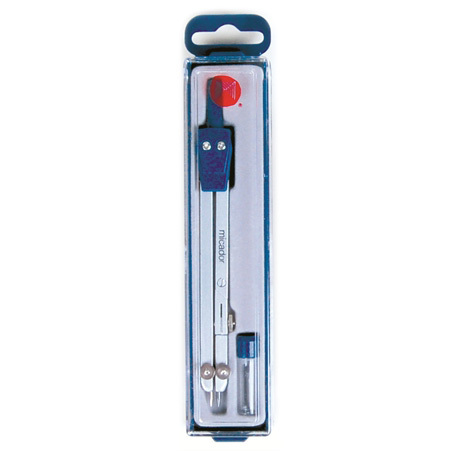 In built graduated measurement guide enables accurate technical drawings without the need of a ruler. . Easy grip top handle, high impact plastic, strong sturdy construction. . Quick clip and release pen/pencil holder-quickly adjust or change drawing instrument.